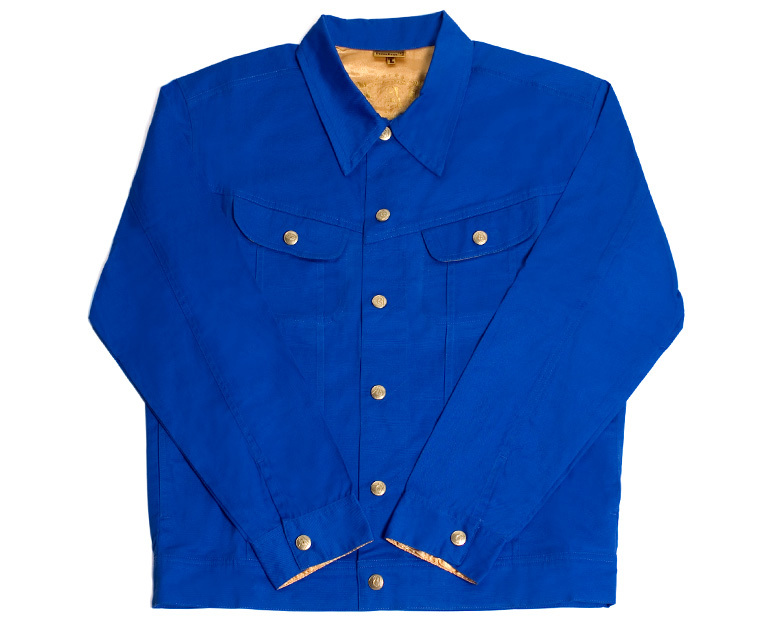 Cotton twill jacket reminiscent of the jean suits we used to rock but updated and a bit sharper. With gold satin lining on the front pockets, side seam pockets and yoke. Fit is slim so, order up if you want to wear it loose.